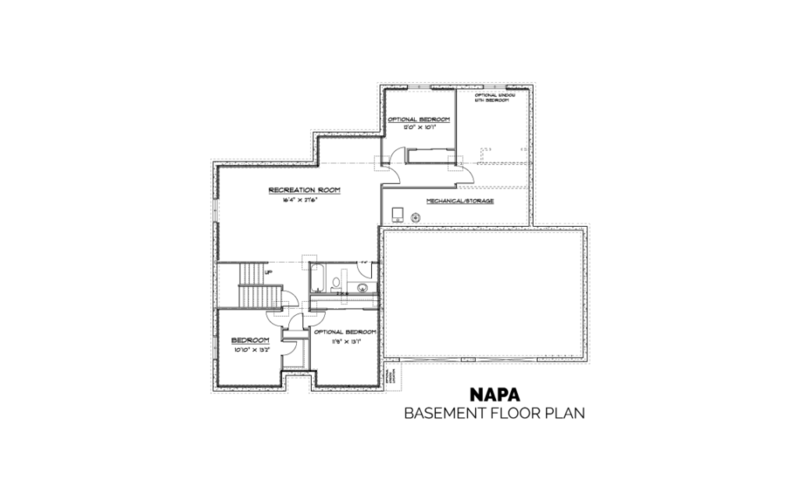 With the Napa plan, you’ll truly build that paradise-at-home experience…you may just never want to leave (did someone say grocery delivery?). 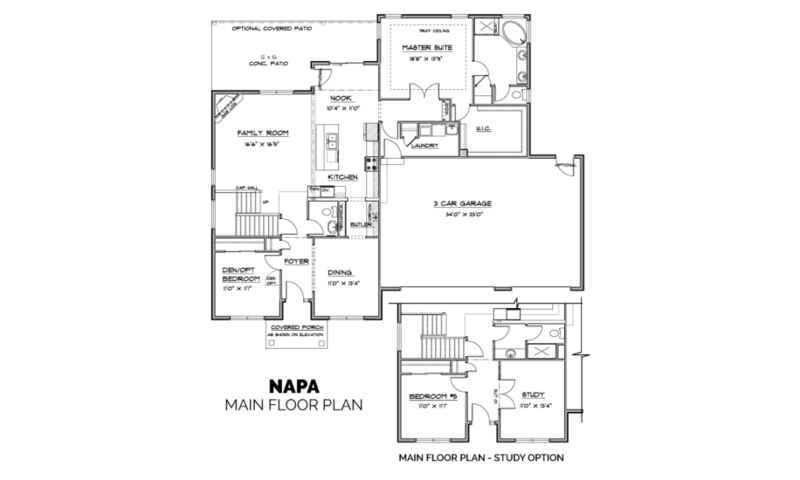 Offering a variety of floor plan options, the Napa boasts an extensive amount of main-floor square footage, including main floor living along with master suite and laundry. 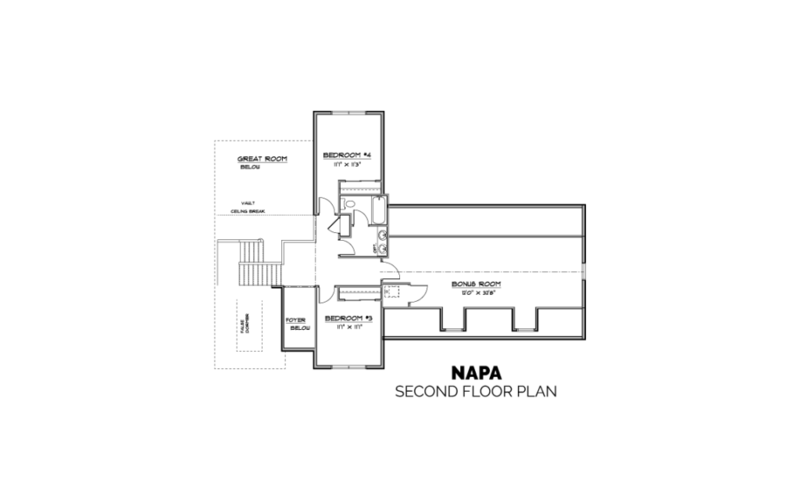 The large functional kitchen has an island with bar seating and opens up to the dining nook and great room with a pass-thru butlers pantry option to the formal dining room. The grand staircase and front foyer open to the second level, which includes two bedrooms and can be extended by optionally finishing off the bonus room over the 2 or 3-car garage that can be used for a playroom, theater room, exercise room or to your liking. 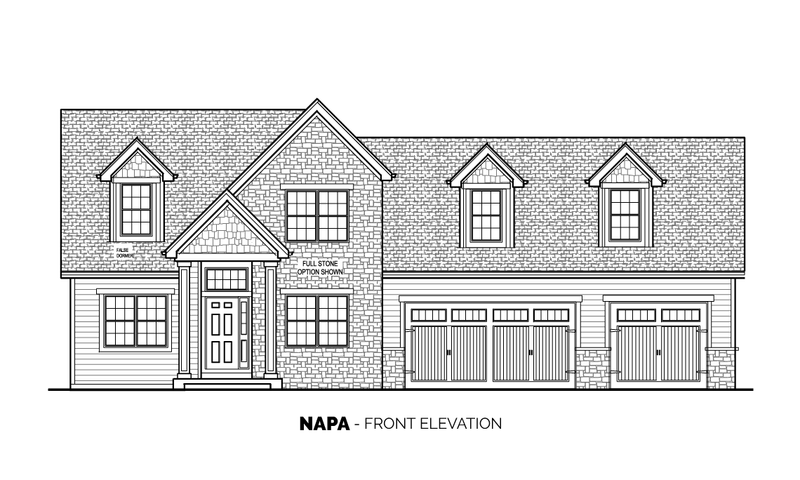 The lower level offers even more options for living and entertaining space, with nearly 1,800 square feet of optional additional finished feet, including up to four additional bedrooms, a bathroom and large recreational room. Interior options aside, you may not spend much time indoors once you step onto the optionally covered beautiful back patio. Say hello to the good life.